The last time I had red nail polish on my fingernails was in December 2012. I do not know what came into my mind that I picked a red polish (Revlon Fire) from the box and painted them on my nails last night. I missed nail arts and haven't done them on my nails for quite some time now, thus, I decided to paint some on my nails. 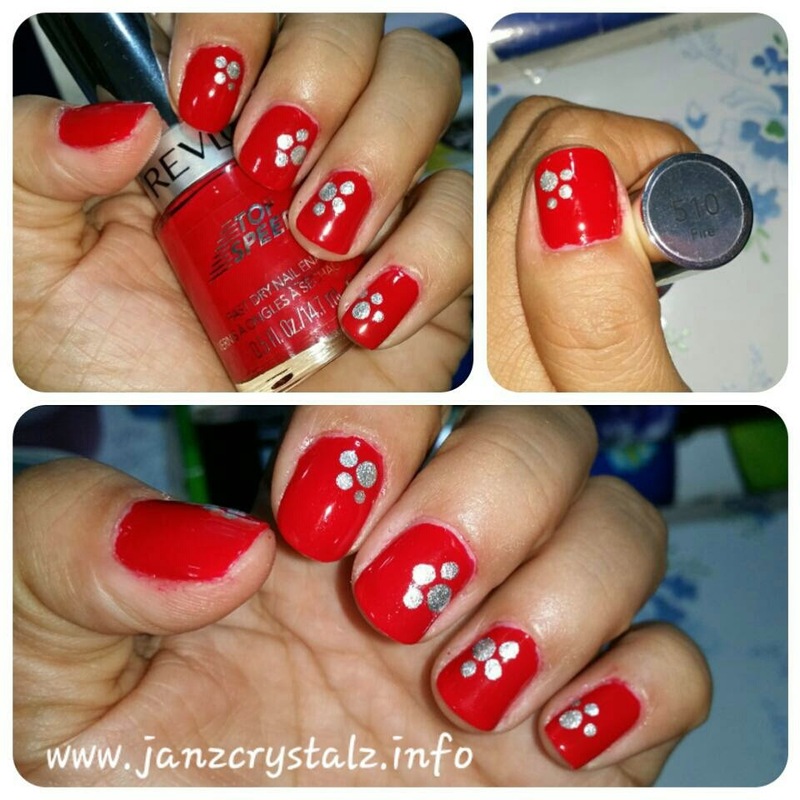 A very simple one that I can think of, using the only dotting tool. I was aiming for a simple paw print, but sadly my hands had forgotten how to do nail arts after months of hiatus instead it ended up into just ordinary "4 dots of different sizes". Paw prints that had gone bad!. Looking at my nails today, I realized that my nails aren't that bad at all.